SBI PO is a lucrative career option for all the aspirants who wish to join the reputed Government Sector. 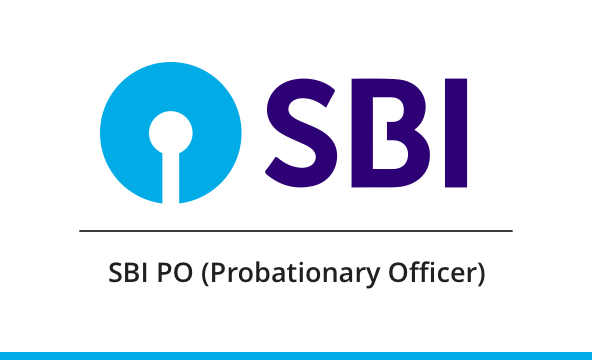 SBI PO 2019 will be conducted by State Bank of India to recruit eligible candidates to the post of Probationary officer. SBI PO 2019 Exam Dates, Syllabus and other related information has been made available to students with the release of SBI PO Notification 2019 by State Bank of India. SBI PO Notification 2019 has been finally released by State Bank of India. The Official Notification has been updated below. A detailed insight into SBI PO 2019 Vacancy, Exam dates & Pattern has been made available to candidates through SBI PO 2019 Official Notification. The Online Application link of SBI PO 2019 Exam will be made avaialable from 2nd April 2019. To apply Online, candidates can click on the link mentioned below. SBI PO 2019 Apply Online process will be conducted online. All the payments will be done online on the official website of SBI. To get details on SBI PO Online Application process, click on the link given below. Candidates must pay Rs. 750/- (intimation charge included) as Application fee for SBI PO 2019 if they belong to General/OBC category. The same amount is narrowed down to Rs. 150/- (intimation charge included) for candidates belonging to SC/ST/PwD category. Fee/Intimation charges once paid will NOT be refunded on any account nor can it be held in reserve for any other examination or selection. Aspirants looking forward to appear for SBI PO 2019 must be aware about the SBI PO 2019 exam dates. The schedule has been released by State Bank of India. Check detailed schedule below. SBI PO 2019 Vacancy has been announced with release of Official SBI PO 2019 Notification. Get detailed SBI PO 2019 Vacancy in the table below. This test has 155 questions that have to be answered in 3 hours. The paper is divided into 4 sections - Reasoning & Computer Aptitude, Data Analysis & Interpretation, General/ Economy/ Banking Awareness and English Language. Age of the applicant must not be more than 30 years as of 1st April 2019 and not less than 21 years as of April 2019 for SBI PO 2019 Exam. That means that the candidate must not be born before 01.04.1998 and not earlier than 02.04.1989 (both date inclusive). The cut off for SBI PO 2019 will be released post release of SBI PO Result. The cut-off will help candidates to know about the minimum score required to ace the different levels of exam in which SBI PO is conducted. To get a clear idea of SBI PO Cut-Off 2019, let's have a look at the cut-off for year 2018. To score high in SBI PO 2019 Exam, it is really necessary for each and every candidate to look into the latest exam pattern and the change in syllabus so that preparation can be done accordingly. Candidates have the option to opt for Offline Coaching Program offered by Career Power to enhance their skills. They can also solve Mock Test Papers to self-analyse themselves and prepare judiciously for this upcoming exam. Q. What are the exama dates for SBI PO 2019? Ans: State Bank of India is yet to release the Exam dates for SBI PO 2019. You will be informed about the same once it has been announced officially. Q. How many vacancies are available for SBI PO 2019? Ans: The vacancies are not yet been announced yet for SBI PO 2019. As per last years' vacancy, we are expecting SBI PO 2019 Vacancy to be around 2000. Q. Can a final year student apply for SBI PO 2019? Ans: A final year student can also apply for SBI PO 2019 Exam. During Interview Process, he/she has to produce the Graduation degree/Marksheet stating that he/she has completed Graduation. Q. How many times can a student appear for SBI PO Exam? Ans: The number of attempts for SBI PO is different for different category. Have a look at the table below to know the number of attempts. Q. What is the Age Limit for SBI PO 2019? Ans: To be eligible for SBI PO 2019, a candidate must be minimum 21 years of age and maximum 30 years of age at the time of registration. Q. Is there any penalty for wrong answers in SBI PO Exam? Ans: There is a penalty for wrong answers in both Preliminary and Mains Exam of SBI PO 2019 Exam. 0.25 Marks will be deducted against every question attempted wrong. Q. Is there any Bond to sign after selection? Q. What is the Application Fee for SBI PO 2019? Q. Can I pay the Application Fee Offline?